An Ohio judge will decide whether a transgender boy whose parents, according to court documents, want "Christian-based" therapy for him can receive treatment at Cincinnati Children's Hospital Medical Center. The 16-year-old wants to transition in gender, but court documents say his parents have denied he is transgender, have refused services from Children's Hospital and at one point refused to allow him to change his "appearance to a male look." The teen has reported that he was once forced to sit in a room and listen to Bible scriptures for more than six hours at a time, the documents say, the Cincinnati Enquirer reported. 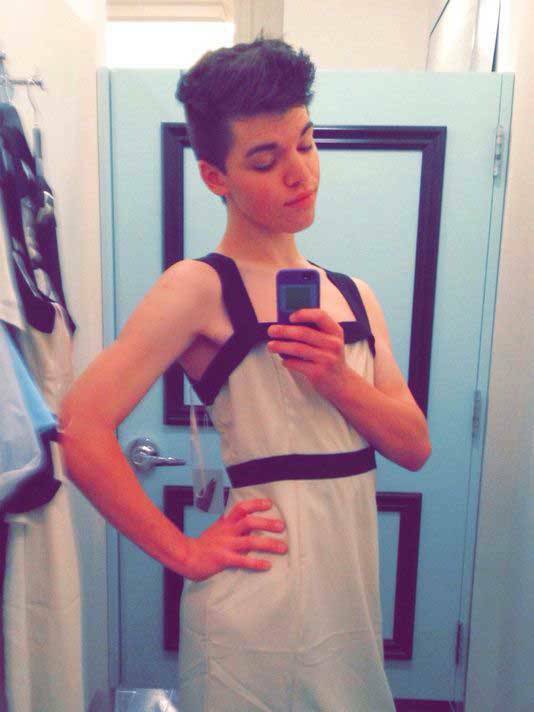 All of this comes on the heels of Greater Cincinnati trans teenager "Leelal Alcorn's" suicide a couple years ago under similar circumstances. How sad! Even tragic if you are willing to sacrifice your transgender child for some mis-guided principal. Mentally defective parents like that need to be stripped of the Right to be parents, as it is their actions stemming from their mental defectiveness, which will very likely directly cause the death of their daughter.